A minor has been arrested for attempting to smuggle contraband into the Asseyri Prison, located in K. Hinmafushi. Maldives Police Service says the minor was arrested at 4:40 pm last Wednesday, during a joint operation run by Hinmafushi Police Station and Police Intelligence. 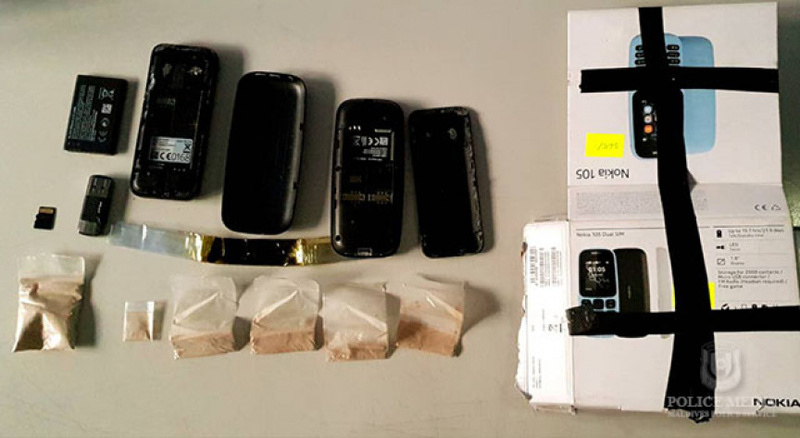 MPS says officers found six rubber packets and a piece of cellophane believed to contain narcotics, two mobile phones, one memory card and one pendrive in a box on his person. The case is under investigation by Hinmafushi Police Station.